Welcome to Clockmaker, a unique matching puzzle game. Come on in - an amazing adventure is waiting for you. Beat match-3 levels to rescue the town from the evil curse of the Old Clockmaker. Are you ready? - Connect&play with friends: play with your Facebook friends! 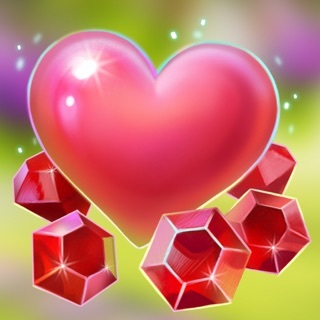 - Play seasonal and time-limited puzzles to get amazing rewards! 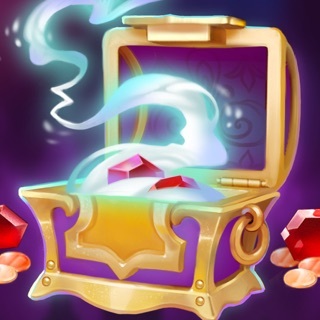 - Monthly game updates: holiday adventures with prizes! Thank you for updating Clockmaker! - Immerse yourself in the Clockmaker storyline! Take a look at events in the city from a new point of view by unlocking the following houses: Uncle's House, Town Bridge, Fisherman’s House, Stables, Mill, Observation Tower, Bakery, Old Sam’s House, Observatory, Bookshop, The Harrisons’ Mansion, Townsfolk’s Houses, Fire Station. I have a few other match 3 games but decided to give this one a try. Good graphics. Nice music. I thought, good game but nothing special. Then I received a bonus. 12 hours of unlimited play. What? I was blown away. My complaint on my other games is the lack of really good bonuses and a good amount of coins for purchases. And here I’m getting 12 hours of free play. Kudos to this game. The only reason that I am not giving it a five star rating at this time is that I am still new to the game. I have yet to see coin sales and other bonuses. But, at this point, I am fairly certain that this will be a five star game in my opinion. Updating to 5 stars. As long as they keep going good with coin sales/boosters/bonuses as they are, this is now my favorite match 3 game. There are 2 reasons that I am dropping my rating. I still feel that it’s one of the better match 3 games out there. But 1) I have two games going because I realized that your games to sync if you don’t connect both to Facebook. However, if you aren’t connected to Facebook, you don’t get the same coin/bonus sale offers. I don’t understand why this needs to be. 2) I often play during my work breaks. It’s frustrating to win free plays of 2 - 3 hours that immediately start counting down. Why state to “tap here to collect reward” when it’s already going? Let me choose when to begin the countdown. I’d say I feel this to now rate 3.5 - 4. Change these factors and I’d probably go back to a 5. Hello! Thank you for your detailed feedback - we really appreciate this. At the moment synchronization works in a way that only your opened houses are synched. We're working on a full synchronization now, so that all your items would be the same in your both games. As for the time of unlimited lives it's just how the game works. When you win a prize containing the time, it is applied at once. Hello! Thank you for your review. We're happy to hear the situation in your game has got better. We hope you will have fun and enjoy playing Clockmaker! I have played this game for a very long time and it would be a lot of fun if I were allowed to win once in a while, or, more frequently. Unless I buy boosters or more time, I am doomed to play the same game over and over. It is almost impossible to win a game unless I spend money to buy a win. Because I very, very rarely win, I only play to pass the time while my other games gain lives so I can play them. To update my last review, I see no change. Not a fun game. Impossible to win any game on a regular basis. I had to delete it because I was a waste of time. I renewed it to see if an changes were made. If not, I will delete again and never renew it. Unless things have changed, I advise everybody NOT to download this game. Waste of time and impossible to win any game unless you spend a fortune. Since my last review, the games have become easier to negotiate. Thank you for that, but I resent very much the response I received in my email stating that if I was having trouble on any level, I was to BUY help. I was also told to go to Customer support or some similar type place. That suggestion insults my intelligence and defeats the purpose of my initial complaint. I play many games on the computer and all are similar. To pass a level, one should not need to buy their way to another level or seek help to win. It is a GAME!! How many people seek help or find the need to pay for a win Playing Monopoly, Yahtzee, Dominos or any other game? Hello! Thank you for your review. We're sorry you have this impression about the game. We also didn't intend to insult you or your intelligence in any way. We just offered our help and a piece of advice for some levels as well as we don't claim that players need to pay for a win. Quite the opposite. We are constantly checking the game balance to be sure it is possible to pass levels without spending money.